Listing courtesy of H.A.Hurst Velasco (CalBRE #01314063), California Estate Properties. Beautifully Upgraded Entertainers Home in West Creek Valencia. 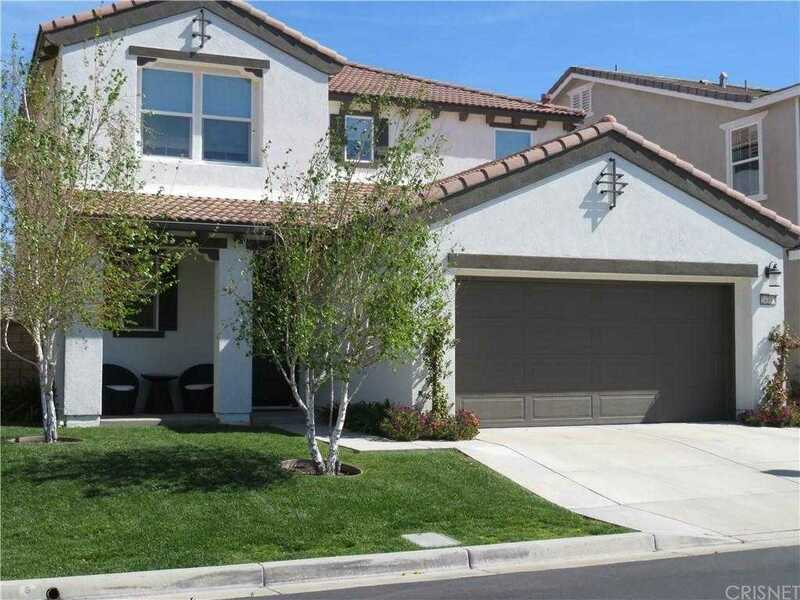 This Newer Built Home is located in Great sought after neighborhood in Valencia close to schools, shopping and Dining. Home has 4 Bedrooms / 3 1/2 baths, Large Great Rm Opened to Large Kitchen & eating area. Living Room and Dining Rooms – Large Master Suite with Custom Sitting Rm and Dual Custom Closets – Master Bath with Upgraded Bathroom & shower Tile – Home has been Upgraded with Imported Italian Tile Flooring throughout entire downstairs – Custom Tiled Fireplace in Great Rm floor to ceiling, Dark Espresso Wood Cabinets throughout the home – Granite Counter Tops in Kitchen and All Bathrooms – Built in Surround Sound in Great Rm – Custom Window Treatments throughout – Ceiling Fans in Every Rm – Indoor / Outdoor entertainers backyard with Custom Built in Outside Kitchen with Marble Countertops, Top of the line Appliances, BBQ / Sink / Refrigerator/ Warmer – Surround Sound, Gas Fire Pit, Flat Screen TV – One of a Kind and beautifully Done. Home has Built in Solar System Installed by Builder! Building size: 2926 sq ft.